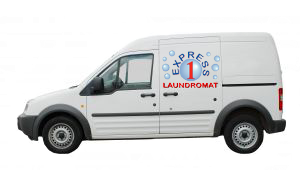 Schedule a Pick-Up | Express 1 Laundromat & Dry Cleaning Services, Offering Laundry Pick Up & Delivery Services to Queens & Long Island City, NY!! To schedule a pick-up please either call (888) 686-9274 or fill out the following form. Pickup and delivery available in Long Island City, Greenpoint, Sunnyside & Southern Astoria. Order that is picked up in the morning can be dropped that night or the following delivery day. Pick up time must be 24 hours after form submission. Drop off time must be 24 hours after order is picked up. Door man buildings please leave outside of apartment door.